The big news this week is the salad mix. 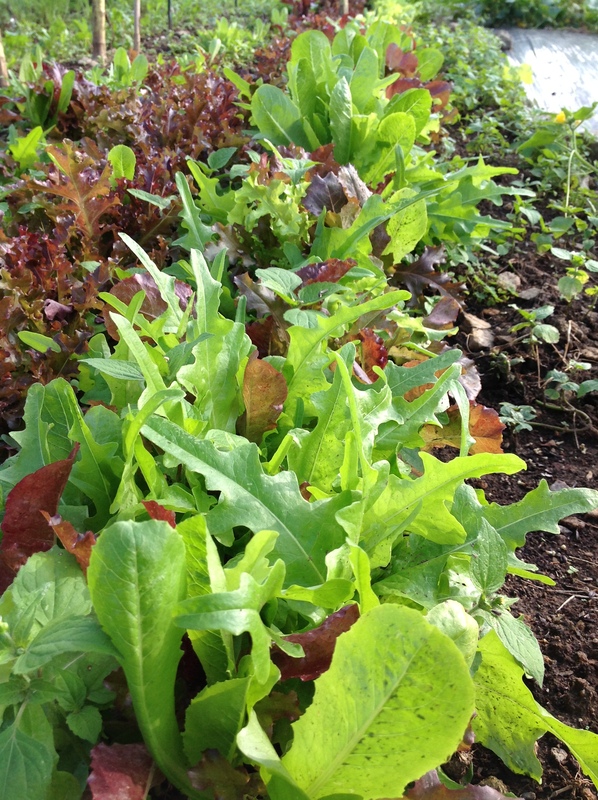 It’s time to start cutting the little lettuces and mixing in the slightly spicy Asian greens to create our delicious salad mix. It’s the spring and fall favorite year after year. On the flip slide, warm weather summer vegetables such as cucumbers, zucchini, tomatoes, and eggplant are finishing up for the season. Sad as it may be, it had to happen.